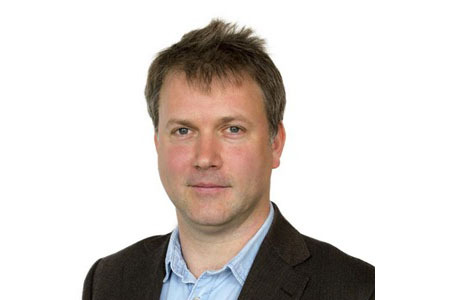 Genomics England is pleased to announce the appointment of Professor Ewan Birney, Director of the European Bioinformatics Institute (EMBL-EBI) and a Senior Scientist at the European Molecular Biology Laboratory, to the Genomics England Board. Professor Ewan Birney joins the Genomics England Board as one of the UK’s leading genomic scientists. His research has had a major impact in improving our understanding of genomic biology. Professor Birney worked on the initial human genome project, and led the analysis group in the first two phases of the large-scale, international ENCODE project, which is working systematically to define functional elements in the human genome. His current research focuses on algorithms and statistical methods to analyse genomic information, compression of sequencing data and methods to use DNA as a digital storage medium. As Director of EMBL-EBI, Professor Birney is a trusted advisor to governments and industry on genomics data management, and sits on the Scientific Advisory Board of a number of organisations, including the Berlin Institute of Health in Germany.